Polyester (PE) filter roll is the main filter material in bag filter. 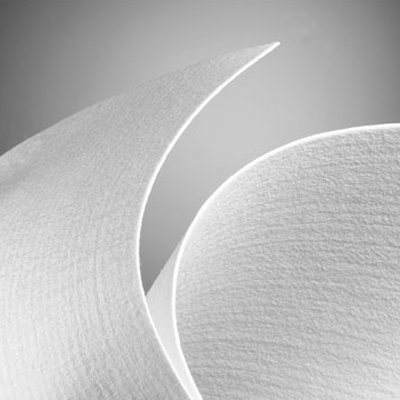 Polyester fibers have poor hygroscopicity, with moisture regain of 0.4% - 0.5% under standard conditions and 0.6% - 0.8% at relative humidity of 100 degrees Celsius. Therefore, the properties of polyester fibers have little change in both dry and wet conditions. It has good resistance in most working conditions at room temperature. Polyester fibers have high strength, good elastic recovery, strength of 3.52-5.28CN/dtex, breaking elongation of 30-40%, stable size, high strength, elongation and good elastic recovery. Therefore, polyester fabrics have good wear resistance. The heat resistance of polyester fibers is about 80 degrees Celsius, the melting point is 255-265 degrees Celsius, the combustion temperature is 450 degrees Celsius, 230-240 degrees Celsius begins to soften, and the strength loss caused by short time heating at 170 degrees Celsius can be restored. Therefore, polyester fibers have good performance at room temperature. It can work continuously at 135 degrees Celsius, so it is the most cost-effective medium at low temperature. Polyester is a polycondensation polymer. It contains ester bond in macromolecule, so it is not resistant to strong alkali and easy to hyydrolyze, especially at high temperature. Polyester is acid-resistant and insoluble in organic acids. At low temperatures, polyester fibers are stable to low concentration of inorganic acids, but can be dissolved in concentrated sulfuric acid and heated m-formic acid, and relatively stable to general organic solvents. ©Shanghai Indro All Rights Reserved.